Two uninscribed milestones were found along the modern road east of the Jordan on the Golan Heights. 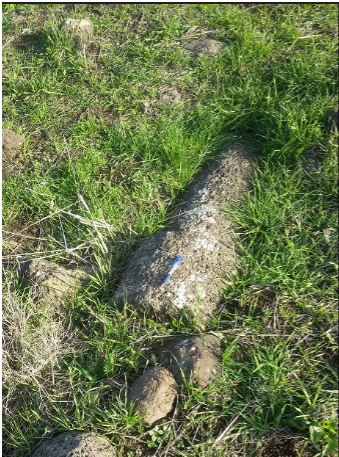 The first milestone (IMC 697) was discovered by Boaz Gross, a Phd Archaeology student from Tel Aviv University. 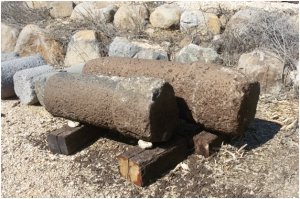 The second one (IMC 698) was discovered by Oren Zingenboym from the Israeli Antiquities Authority. Prof. Israel Roll marked on his map (enclosed) a roman road along the eastern shore of the Sea of Galilee. 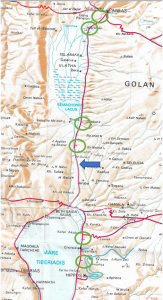 The road passes by Beth Saida then along the eastern side of the Jordan to the Hula valley and then reaches Paneas. 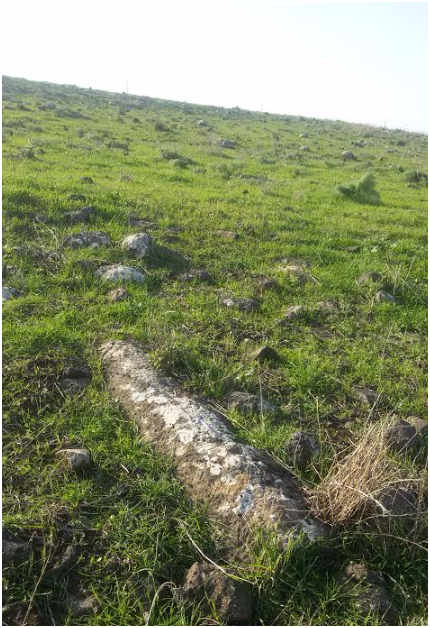 The newly discovered milestones are the first firm evidence for the section east of the Jordan marked by Roll on his map as an attested road. 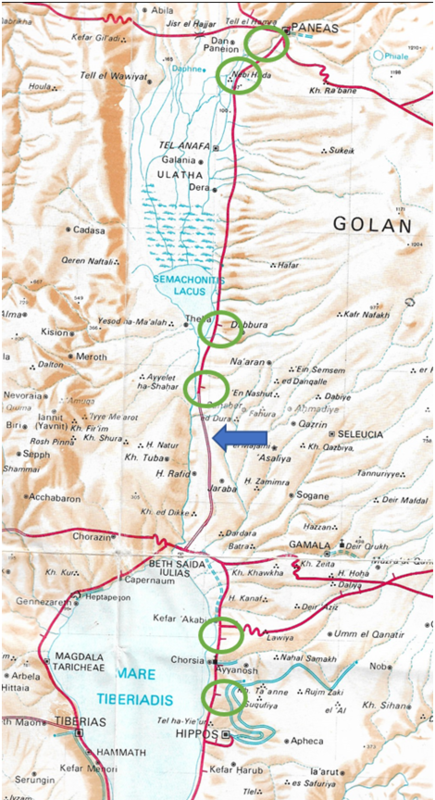 From Israel Roll’s Roman roads map – the blue arrow points to site of the discovered milestones, the green circles sign former milestones along the road. The two new milestones in the Israel Archaeological Authority display surface in the Qazrin Archaeological Park (photo: Chaim Ben David).